Sometimes you get nice, unexpected little surprises and so, sitting minding my own business on a Saturday afternoon, an email plops into my inbox inviting me to listen to some music a couple of chaps have been putting together in their bedroom. Well aside from the fact that ‘recorded at home’ might sound a tad less dodgy and despite knowing people who do indeed record some rather fine music in their bedrooms, my expectations were, frankly, not too high. Cue nice little surprise. 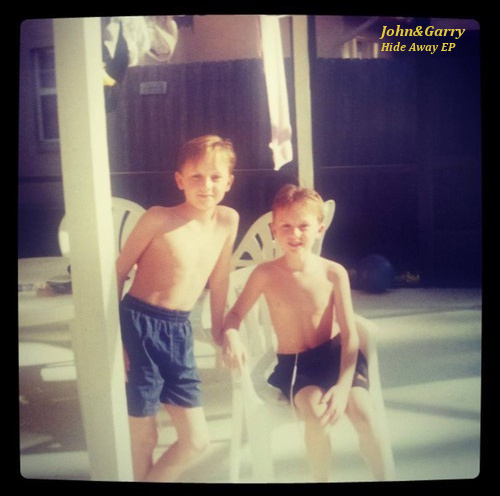 Young whipper-snapper brothers from Irvine, Ayrshire, the aforementioned John and Garry are dipping their toes into the murky waters that are the music industry whilst they complete their shockingly intelligent-sounding academic studies. To be honest I was expecting something either yawn inducingly indie or hand-over-the-ear, elbow patched folkie malarkey. But no, in fact something much more mature and intelligent, a sound that belies their tender years. The brothers Kerr (for it is they) naturally hint at their preferences and influences, well who wouldn’t? But with influences such as Bon Iver (a rather fine cover of Re:stacks closes the EP), The National, and the sainted Blue Nile that can be no bad thing. My predilection for Scottish things musical is no secret – Idlewild (ah how I miss thee), Frightened Rabbit, There Will be Fireworks, We Were Promised Jetpacks etc etc – and so the Caledonian twang instantly had me on side, but perhaps even more the vocal qualities that Garry displays on tracks Let Me In and Hide Away. How welcome to have a voice with some depth and warmth rather than the usual adenoidal whine of many a new band. In truth both chaps have good voices, working nicely together in their sharply executed harmonies, both seem to play lots of bits and pieces though Garry majors on guitar and John on piano and syth it seems, with other instrument honours shared between them. Well if this is how the J&G are starting off – well crafted songs, played with sensitively and musicality, sung with character and individuality, and produced with a commendable open and clean sound – you wonder where they might go next? I am genuinely enjoying this little suite of songs and I promise not to be suspicious about bedroom recordings in future. ‘Tis early days of course but I hope they remember me when they get to the big time, you know, the chap who said nice things about them at the kick off – any chance of a guest list place? This entry was posted in Uncategorized and tagged Hats, John&Garry. Bookmark the permalink.